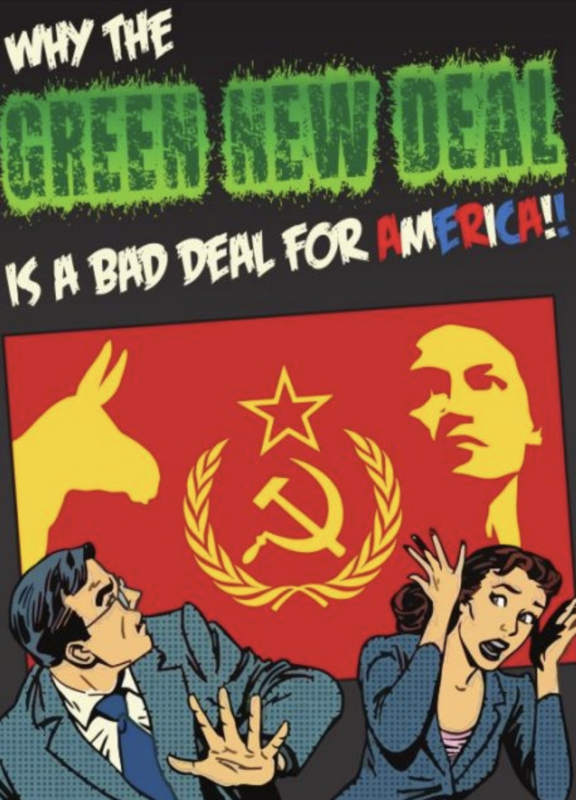 Green New Deal A Gift to Trump? For almost a century, electricity generation and distribution were treated as a tightly integrated system: it was designed and built as one, and is meant to operate as designed. However, the chaotic delivery of wind and solar have all but trashed the electricity generation and delivery system, as we know it. Germany and South Australia are only the most obvious examples. 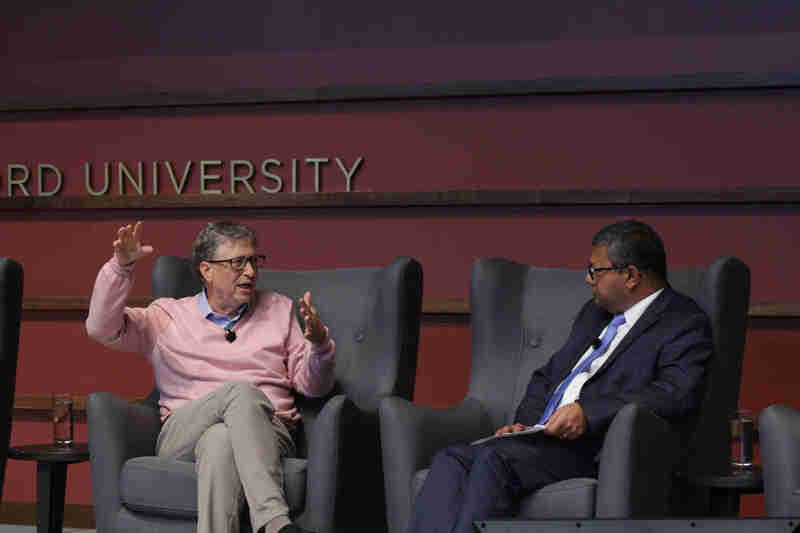 During an interview at Stanford University late last year, Bill Gates attacks the idiots who believe that we’re all just a heartbeat away from an all wind and sun powered future. Bureau data shows the rate of mean warming since 1960 has risen to 0.2C a decade, putting the more ambitious IPCC target of limiting future warming to 1.5C close to being broken. Homogenisation of temperature records is considered necessary to account for changes in instrumentation, changes in site locations and changes in the time at which temperatures were taken. But the bureau’s treatment of historical data has been controversial. 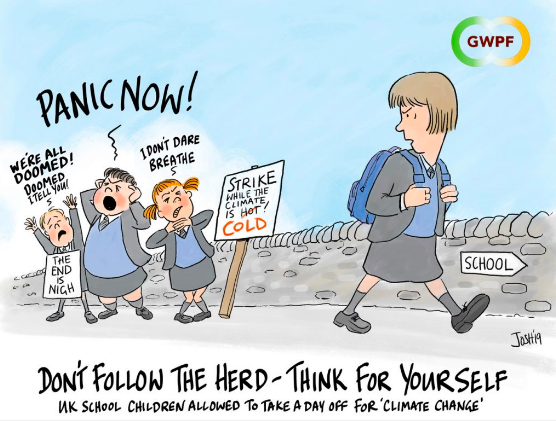 In recent years there have been claims that the organisation was treating temperature records in such a way that left it exposed to accusations that ideological pursuits had trumped good scientific practice. Former prime minister Tony Abbott unsuccessfully pushed for a forensic investigation into the bureau’s methods. A number of reviews of the ­bureau’s network equipment and its temperature data handling have been carried out. A technical panel found the homogenisation methods used were largely sound. But a key recommendation, to include confidence levels or error margins in the data, remains ­unfulfilled. A BoM spokesman said work was under way on a number of scientific papers looking at uncertainty and confidence intervals for temperature data ­observations, adjustments and national averages. “This work will be made available to the public following ­thorough peer review,” the spokesman said. The bureau had fiercely defended the accuracy of its original ACORN-SAT data. But more ­recent analysis, including the ­removal of rounding errors, has effectively increased the rate of warming by 23 per cent, compared with the earlier homogenised ACORN version-one data. Detailed technical information on the ACORN-SAT ­update was published late last year, but there has been no public ­announcement of the revised data, which is now considered the official national average temperature record. A bureau review of the ­homogenised data said the new version had “increased ­robustness and greater spatial ­coherence”. The updating of the ACORN-SAT data coincided with the ­release last October of a new version of US weather agency NOAA’s global land temperature data set. 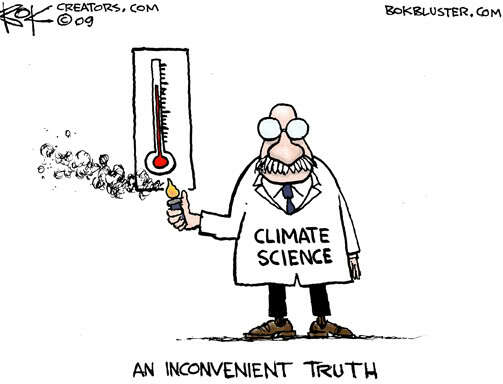 A bureau spokesman said ACORN-SAT version two was the bureau’s “improved official homogeneous temperature data set”. The new data set benefited from “the numerous scientific and technological advances which have occurred over the past six years, as well as the ­insights and recommendations from an independent ACORN-SAT technical advisory forum”. “It also contains new data which was not previously available when the bureau developed the first data set,” he said. The bureau said the updates had been independently peer-­reviewed, and the findings were that the methodology was “rigorous and reliable”. Scientist Jennifer Marohasy said that while version two of the data had used the same set of 112 stations as had been used in version one, the data had been remodelled relative to the raw data and also relative to the remodelled version one. The bureau said the data in version two was subjected to two rounds of homogenisation, as had been the case with version one. “In total, 22 of the 966 ­adjustments applied in version two of the ACORN-SAT data set arose from this second-round procedure,” the bureau said. A technical analysis of ACORN-SAT 2 by the bureau said 1910-2016 trends in Australian temperature were about 0.02C a decade higher than those found in version one. It said rounding errors in version one accounted for much of the new trend. Dr Marohasy said the bureau had not explained how it could have generated a 23 per cent increase in the rate of warming, just through updating the official ACORN-SAT ­record. The maximum-temperature trend from 1910 to 2016 at the 112 ACORN-SAT weather stations is now an increase of 0.116C a decade. It was 0.09C a decade in the earlier homogenised data. The minimum-temperature trend is now an increase of 0.13C a decade, compared with 0.109C in ACORN-SAT 1. The bureau said improved ­accounting for the widespread relocation of sites out of towns during the 1990s and 2000s, and the incorporation of recent data from new sites, were also substantial contributors. Dr Marohasy said movement of sites was meant to be part of the adjustments made in the first version of the data. The BBC are now trying to backtrack from their report last week of how extreme weather events had rocketed since 2005. This item was on Radio 4 last night, for the first 5 mins. Click on this link to play. Even now, Lynas does not give the whole story, that thousands of weather disasters happened in the early decades, but were never properly recorded or registered by EM-DAT. In the event, the studio discussion was rather uneventful – too short to be informative, and pitched at a rather numpty level – but I did enjoy my discussion with my opponents in the green room beforehand. Extinction Rebellion is noted for its avowed intention to use civil disobedience as the main tool of its campaigning armoury, and I was therefore expecting its representatives to be rather sinister, if not outright thuggish. In the event though, I found two personable young people who were happy to talk and share views. And while it’s fair to say we didn’t agree on anything very much, I think we learned a lot from each other. The decades of global warming have coincided with the most extraordinary flourishing of humankind. 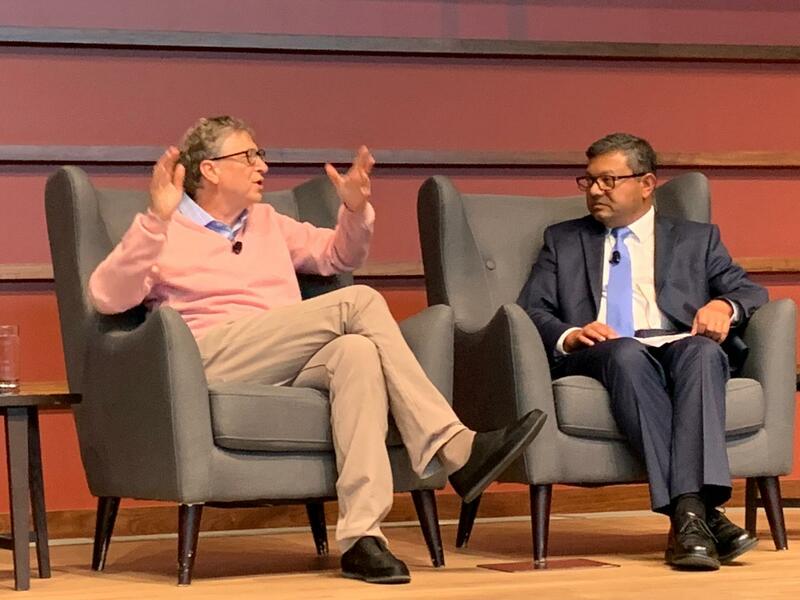 The extraction of hundreds of millions of people from absolute poverty in countries like China and India has been a triumph of the human imagination, and it has been powered almost entirely by fossil fuels. Life expectancy is rising, health outcomes are improving, human happiness is growing. Meanwhile, there is abundant good news from the natural world too. Manmade carbon dioxide emissions have brought about an extraordinary greening of the Sahel – the arid fringes of the Sahara – a development that is unarguably wonderful news both for nature and for the people who live there. Rep. Alexandria Ocasio-Cortez’s now infamous talking points on the Green New Deal are the most unintentionally honest explanation of the neo-socialism now gripping the Democratic Party. Too honest, apparently. After her office sent the “FAQ” to NPR, The Washington Post and other news organizations, and posted a similar version on her congressional website, they were met with withering criticism — prompting Ocasio-Cortez to furiously backtrack, seeking to disown and discredit documents her office had produced, posted and distributed. Sorry, you don’t get to do that. Ocasio-Cortez told us what is really behind her Green New Deal. Now she, and the Democrats who endorsed her plan, have to live with it. Yet the big untold story is her admission that all of this cannot be paid for simply by taxing the rich. Sen. Elizabeth Warren, D-Mass., is campaigning for president on a wealth tax, while Ocasio-Cortez has proposed 70 percent marginal tax rates on wealthy Americans. The message is clear: We’ll soak the millionaires and billionaires and mega-rich corporations so we can give you free stuff. And that covers the price tag only before we even get to the energy and environmental policies in the Green New Deal. Somehow the Democrats managed to create a shiny, magical rainbow-colored unicorn and immediately impale themselves on it. How bad is the debut of the Green New Deal looking a week later? “Dead on arrival” makes it sound better than it is. It’s more like Zima meets Green Lantern times Bill Simmons’s HBO show. It’s such a disaster that Democrats and their media allies are calling Mitch McConnell a nefarious schemer for proposing to allow them to vote on their own idea. The GND got pummeled, pureed, and pantsed from left, right, and center. Bloomberg’s Noah Smith: “The Green New Deal Would Spend the U.S. Into Oblivion.” Jonathan Chait of New York: “The Green New Deal Is a Bad Idea, Not Just a Botched Rollout.” USA Today’s deputy editorial-page editor catalogued “Green New Deal’s 55 promises that have little to do with climate change: The full list.” “A deeply unserious proposal to tackle climate change,” ruled The Economist. Somehow the Democrats managed to create a shiny, magical rainbow-colored unicorn and immediately impale themselves on it. Such a nightmare is the GND that the Democratic-party shills at the Associated Press wrote, “McConnell Wields Green New Deal as Bludgeon against Dems.” Who is wielding that weapon, though? It’s like watching Edward Norton beat himself up in Fight Club. The Green New Deal proposal is such a merde burrito that it seems likely to kill any Democratic-led climate-change action for the rest of this congressional term. How did this Hindenburg-crashes-into-the-Titanic-and-unleashes-Chernobyl situation happen? A couple of reasons are apparent. The first is the Dems’ obvious and growing Ocasio-Cortez problem. I stress that it is not I who want her to be reined in. I want her on every front page, every podcast, every news program. I want her to host the Grammys. I want her to be the newest Avenger. The more she talks, the better for conservatives, because, six weeks into the 60-year service of “First Citizen AOC” (Ross Douthat), it is obvious that the effective leader of the Democratic party is a moron. But that’s being too kind. The effective leader of the Democratic party is a heedless, arrogant, spotlight-chasing, wrath-threatening ignoramus maximus who is too dumb to have any inkling of how much she doesn’t know. Three years after convincing themselves that the ideal presidential candidate was a woman with the personality of an ulcerous Gila monster, the Democrats have once again fallen in line behind “star power,” meaning someone who seems like a star only inside the hermetically sealed Village Cinema of Potemkin, a safe space for true believers only. Which brings me to the second unanticipated problem with the Green New Deal. The progressives didn’t understand how their Year Zero fantasy would be received because they have hermetically sealed themselves off from the Right, and even from moderates. They actually leaked a document to their woke friends at NPR without anyone realizing how badly a pledge of support for everyone “unable or unwilling to work” would play outside the bubble, or how inane it seems to grownups when you propose eliminating every combustion engine in the United States in ten years or declare war on cows. Within Progtown, extremism in the defense of climate-change hysteria is no vice. AOC and Co. probably thought they were moderating their tone by not charging the rich with being malefactors of great wealth and suggesting mandatory sensitivity camp for straight white males. “Trump says whatever he feels, why can’t we?” the progressives think. If their aim is to be much less popular than he is, they should keep talking. Tory peer John Selwyn Gummer spoke in support of measures that would benefit green businesses that paid his private company more than £600,000 during a dozen House of Lords debates, The Mail on Sunday can reveal. The former Minister, who has been chairman of the independent Committee on Climate Change (CCC) since 2012, is being investigated by Standards Commissioner Lucy Scott-Moncrieff over claims that he breached the Lords’ Code of Conduct by failing to declare his interest in Sancroft International – his family consultancy – and its green technology clients. The probe was triggered in part by allegations from five MPs that he had backed measures that could benefit Sancroft’s clients in three Lords debates – but our investigation suggests he did so on a further nine occasions. They include three contributions to a debate on an Energy Bill going through Parliament in July 2013. During the debate, the former Environment Secretary, who became Lord Deben in 2010, told peers that carbon-free electricity was the ‘key to the future’ and that it was important not to restrict the activities of companies which made power from biological sources such as food waste and wood. Such firms include Saria, a biofuel producer, which has paid more than £183,000 to Sancroft. In June 2015, Lord Deben used another Lords debate to call on the Government to ‘give security’ to companies investing in low-carbon generation. By then, Sancroft’s clients included Temporis Capital, venture capitalists with interests in wind farms and solar energy projects, which paid £50,000 to the consultancy. That would include the EU Renewables Directive, which says 20 per cent of the country’s energy needs must come from renewable sources by 2020. Sancroft has been paid £15,500 by Drax, a green energy producer that receives £700 million a year in Government subsidies. The Mail on Sunday has also learned that in his capacity as CCC chairman, Lord Deben wrote to Business Secretary Greg Clark and Transport Secretary Chris Grayling to urge the Government to provide more ‘financial support’ to the electric vehicle industry, and to bring forward the date when all new cars would have to be electric. But he failed to mention in the letter – dated October 11, 2018 – either his involvement with Sancroft or that the firm had received almost £300,000 from Johnson Matthey, a firm investing more than £200 million in electric vehicle batteries, since 2012.